Georgia Small Business Owners Hiring the Right Way! Why Do You Need the Online HR New Hire Toolkit? You’ve invested time and money into finding just the right employee for the job. Now, it’s worth the effort to properly train and retain them. Also, federal and state regulations can be tricky and small business owners often struggle. Our New Hire Toolkit will help you prepare and process required paperwork, develop employee handbooks and more. 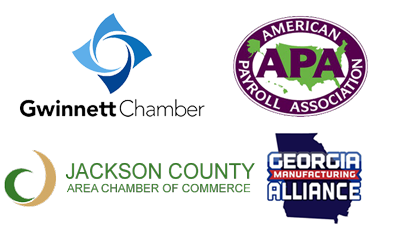 An affordable monthly subscription to our Online HR services will give small business owners in Georgia and nationwide access to the New Hire Toolkit PLUS help them stay compliant with strict government regulations and meet federal recordkeeping requirements**. Taking advantage of these affordable, online HR resources is the SMART thing to do. Call (678) 775-6750 today or use this form to contact us. We will get you started on the right track with the right online HR services. Our New Hire Toolkit can help you with all the above. Use our sample templates, fillable forms, customizable Word documents, and policy language to help you create forms and policies for use in your own recruiting efforts. You can also review commentary in the Suggested Reading section for further guidance on recruiting.